With the advent of content promotion, there has been a tremendous change in the outlook of the marketers in terms of promotion of their products and also brand building. Seeing a huge success that content has been able to provide, lot more channels are praying for their pie in this segment. With more and more players offering content marketing opportunities and marketers trying to get their due market share through this platform, the end result is that there is lot more content (in terms of video as well) available on the net. This naturally creates a kind of fatigue in the minds of customers/viewers. A solution to this problem can be through shoppable videos. The main idea behind the shoppable video is that the consumer is provided with the accurate and required information to enable him to go for a purchase decision. This will save a lot of his time as well as a lot of bandwidths also. The shoppable video is like a twin edge blade – on one side it allows the marketer to provide a more demonstrative explanation of both the story and urgency of the offer, it also force the viewers towards the purchase decision as there is a purchase link attached to the video. A brief note on creating shoppable interactive videos. There are apps available that can streamline (along with inbuilt analytics) the video creation process at a reasonable cost. These tools automatically provide ‘call to action’ buttons, sign up forms and also spaces for email registration. These are all the inputs that the marketer needs to promote his product and also the brand of his company. 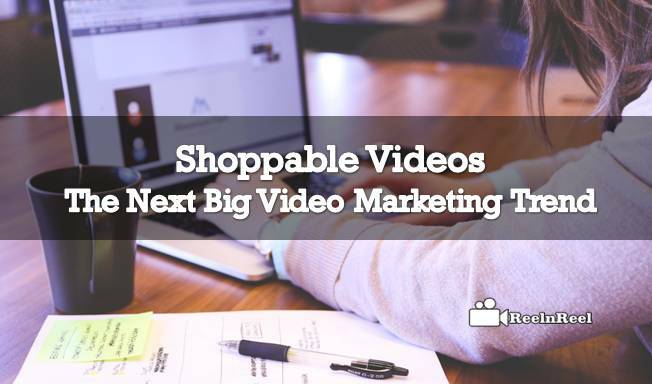 One of the tools ‘Shoppable videos – The Next Big Video Marketing Trend video’ needs just connecting URL to the interactive options presented in the sidebar and also ensuring required color combination. It is as simple as that. The tool’s inbuilt analytics track the success of the ad by itself. Some of the early users of shoppable videos could see a large jump in their view count which is the ultimate criteria to measure the success of the ad. As per the reports available, the number of views for product related videos went up by 40% on the platform (YouTube) since the introduction of True View Cards. Another credentials are available from BravoTV.com (TV channel), increased its digital audience by 91%. Shoppable videos can shorten the purchase process at the viewer’s end as he is provided with the accurate, updated and required information that will help him in his purchase decision. This also helps the marketer to ensure that his ad campaign is successful.